Well, I feel old…It's been a long time since I've suffered through a lot of the emotions and high school drama that was portrayed in this book. It was good and sometimes laugh-out-loud funny and maybe just a little strange but in a very appealing way. I love blaze's character she is funny and her dialog is quite amusing but…the Minivan is a character unto itself. 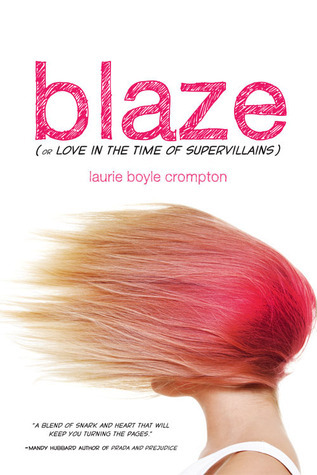 I would recommend for teenagers mostly but I still found the reading of Blaze entertaining. I read anything my kids need read first so I'm used to reading a lot of younger reader target age range. Disclosure: All opinions are my own. I received Blaze at no cost for the purpose of this review. No other compensation was received.